It’s time to celebrate—with singing choirs, rattling tambourines, fuzz bass, wrong-speed magnetic tape playback, and other joyful noises—because the new Half-handed Cloud album is here, and you’ll want to sing along. 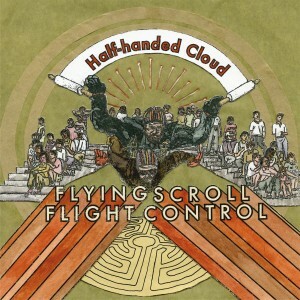 Half-handed Cloud is the solo project of John Ringhofer, who began working on Flying Scroll Flight Control in Belgium, while his wife was doing research at a Brussels museum. The album began as a series of totally DIY, one-man recordings put together with anything Ringhofer had to hand, setting ancient, sacred texts to upbeat pop melodies. Back in the States, Ringhofer then re-recorded the whole thing on old-fashioned reel-to-reel tape as layers upon layers of homespun goodness. The result: music of labyrinthine mysticism and complexity, but made out of raw, humble, unpretentious stuff and offered in full earnest. 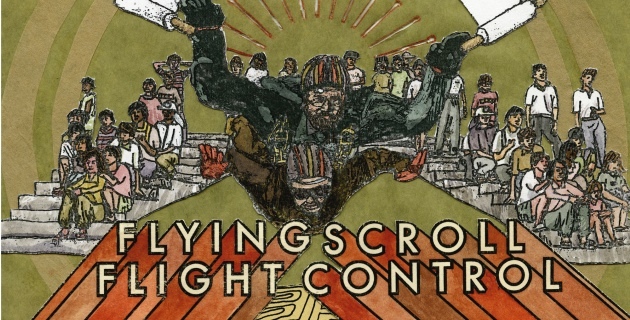 Flying Scroll Flight Control is available on MP3, CD or LP. The LP comes on totally transparent vinyl with a card for a free digital download, and a deluxe edition of the vinyl release comes with a beautiful slipmat at which to gaze through the “pop-bottle-clear” record. Flying Scroll Flight Control exhibits a restored perception of mystery, the magnetic draw of arcane and peculiar visions.